Every so often, you may feel the need to pamper yourself. Take a hot bubble bath, light some candles, give yourself a mani-pedi, and test out one of those DIY face masks. We have all seen different face mask recipes made with honey, avocado, banana, egg whites, and other items that you probably always have in your home. While it is hard to believe that these face masks can actually have an effect on your skin, some of these ingredients can actually help your skin in different ways. 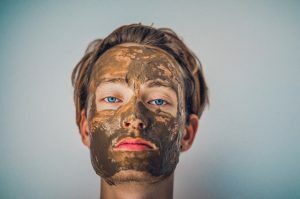 If you are truly looking for a skin makeover and you want your face to look rejuvenated, smooth, and flawless, a DIY face mask may not be the best options. While these are not bad to try every now and then, the best results come from a dermatologist. At Azeal Dermatology Institute in Boulder, we offer many different skin care procedures and treatments, as well as products that can help give your skin a restored look and feel. The products we offer target different areas of concern and can help improve different areas of your skin. If you are looking for serious results, or something more than just smoother skin, make an appointment with your Boulder dermatologist and get proper care. But if you are simply looking for something relaxing and fun to do on a Thursday night, a DIY face mask could be a great option for you! Face masks are always fun, and you can generally find affordable, one-time use face masks at a grocery store. DIY face masks have become popular over the years due to their availability and easy recipes. But what face masks are the best? Which are better for the different types of skin? And what are the best ingredients to use in your DIY face mask? We will answer all of those questions so you know the best face masks to make at home! In a Buzzfeed blog, experts gave their opinions on different DIY face masks, discussing which actually work and which are the best to try. The oatmeal, milk, honey, and water face mask, which claims to manage breakouts and add moisture to your skin, actually works! The dermatologists that weighed in on these face masks agreed that this mixture actually does what it claims to do, as well as reduce inflammation. For this face mask, combine half a cup of raw ground oatmeal, half a cup of water, half a cup of milk, and a tablespoon of honey in a saucepan and heat on the stove for about five minutes. After letting it cool (wait until it is lukewarm) apply the mask to your face and leave it on for 15 minutes. Then rinse it off and enjoy moisturized and smooth skin! The egg white face mask also seemed to do what it claimed to do, but only offered temporary results. But as we mentioned above, for lasting and real results, a dermatologist is the best option. For this face mask, all you use is egg whites. It is as simple as that. Separate the yolk from the whites of one egg and whisk it before applying it to your face. After 15 minutes, rinse it off. This mask claims to tighten and tone your skin, as well as reduce excess sebum. And the experts says that these are accurate claims. Your skin will look and feel better, even if the results are only temporary, this is a simple mask to whip up at home and enjoy actual results. After rating different popular DIY face masks and determining if they actually offer results, one of the dermatologists, Dr. Day, create her own DIY face mask, based on the ingredients and what they do. In her face mask, she would mix half an avocado, a fourth of banana, a tablespoon of coconut oil, two tablespoons of dark organic honey, and a fourth of raw oatmeal. Mix the ingredients until smooth and apply to the face, rinsing after 15 minutes. This mask could help hydrate and exfoliate your skin, while also helping to prevent acne and excess sebum, leaving your skin feeling soft and smooth. In the Buzzfeed blog, they also mentioned what the many different ingredients used in these DIY face masks could help with. So, here is a list of the most beneficial ingredients and how they can help your skin. Knowing the benefits of the ingredients can help you make the best face mask. Honey: honey is often used in face masks, and while it may create a sticky feeling that you absolutely hate, it can help moisten your skin, leaving it soft and reducing excess sebum. Milk: milk has similar benefits of honey, leaving your skin moist, but milk is also anti-inflammatory, helping to soothe red skin. Oatmeal: as mentioned above, oatmeal can help exfoliate your skin, which can leave it feeling smoother and softer. Tea tree oil: this is antibacterial and anti-inflammatory, making it beneficial for acne. Cinnamon: cinnamon offers the same benefits as tea tree oil, but it can often be irritating to the skin, meaning you should spot test first or avoid using it. Nutmeg: this spice can gently exfoliate the skin. Apple cider vinegar: this is also antibacterial, which allows it to kill the bacteria that causes acne. Banana: bananas, as well as other fruits, work as a mild exfoliant for your skin. They have enzymes that remove the dead skin cells from the surface of your skin. Egg: both egg yolks and whites can help to tighten and tone your skin. Green tea: this tea can help to reduce inflammation and redness. 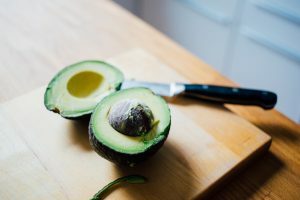 Avocado: this trendy food can help add hydration to your skin, as well as exfoliate slightly. These are only a few of the many different DIY face mask ingredients that have been used and were listed in this blog, but they are also some of the most popular face mask ingredients that we often see in DIY recipes online. Use these ingredients to create different faces masks to try and enjoy smooth and hydrated skin as a result. But, like any skin care products, different ingredients are better for different skin types. Since many of these face masks are made with natural ingredients, they shouldn’t be harmful to those with sensitive skin. Besides cinnamon, which can irritate the skin, most of these ingredients can soothe the skin and won’t cause a reaction. If you do have sensitive skin, be sure to spot test first to make sure your skin won’t react. We are going to go over oily and dry skin and the best face mask ingredients to try on these skin types! According to Natural Beauty Tips, there are several different ingredients you can use in your homemade face mask that can help with oily skin. One of the face masks mentioned in this blog, is a banana face mask. This mask combines a ripe banana with a tablespoon of honey and juice from an orange or lemon. Oatmeal is another good option for oily skin. In this face mask, oatmeal is combined with honey and lemon juice as well. Then there are the options that use store bought products rather than natural ingredients you find in your kitchen. 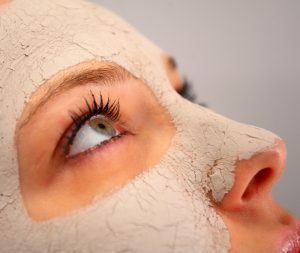 A green clay face mask, like other clay face masks, is great for oily skin. Leaving skin smooth and less greasy. There are many different face masks for oily skin in this blog, and a majority of them include honey! So, make sure you have honey in the house when you decide to make a face mask catered to your oily skin. The ingredients that are good for dry skin, are not a whole lot different than those that are good for oily skin, surprisingly enough. In an article from Fab How, a list of DIY face masks shows that many of the ingredients used in face masks for oily skin are also beneficial for dry skin! Some of the face masks include a banana face mask that mixed bananas, raw honey, and yogurt to create a soothing and hydrating mask. An oatmeal, milk, and honey mask can also help to hydrate the skin. These are very similar to the oily face masks, but there are also some that are unique to dry faces. An egg yolk, olive oil, and banana face mask can help to nourish dull and damaged skin, leaving it feeling and looking healthier and more hydrated. Or try combining aloe vera and milk cream to create a mask that can add a ton of moisture to dry skin! These face masks are easy to make and can help rejuvenate your skin, even if it is just for a few days. If you are looking for something to do on a Wednesday night, why not pamper yourself. Make a face mask with ingredients you already have in your kitchen, fill the bathtub with hot and bubbly water, and drink a glass of wine while relaxing and revamping your face! These ingredients and face masks can help give your skin a little help, but if you are looking for results that last longer and are more noticeable, come in to Azeal Dermatology Institute. We offer great services and skin care treatments that can leave your skin looking and feeling better than ever! We also offer a ton of our recommended skin care products that can do wonders to your skin. Schedule an appointment today to get the skin care you want and need. Contact us with any questions you may have.